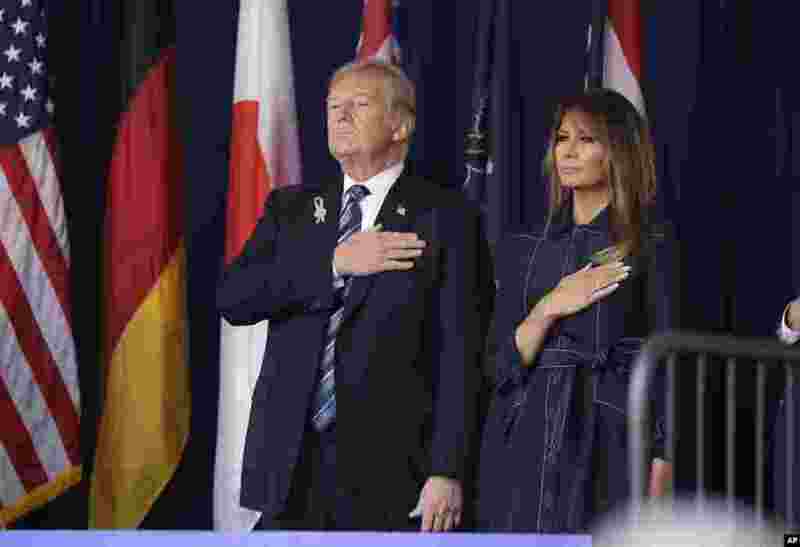 1 President Donald Trump and first lady Melania Trump participate in the September 11th Flight 93 memorial service in Shanksville, Pennsylvania, Sept. 11, 2018. 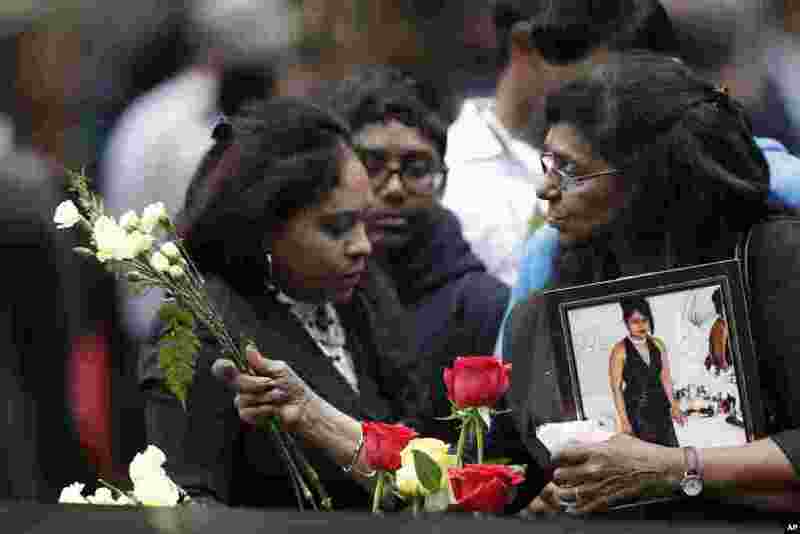 2 A woman leaves flowers at the North Pool during a ceremony marking the 17th anniversary of the terrorist attacks on the United States, Sept. 11, 2018, in New York. 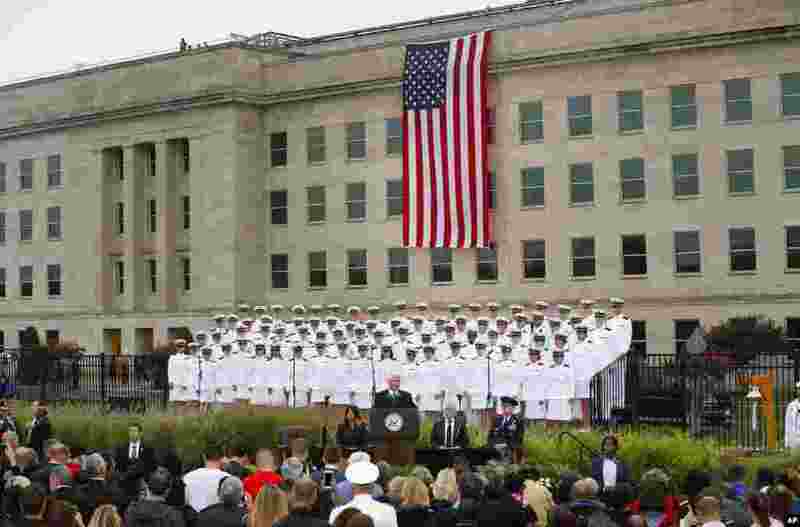 3 Vice President Mike Pence, center, speaks during the September 11th Pentagon Memorial Observance at the Pentagon, Sept. 11, 2018. 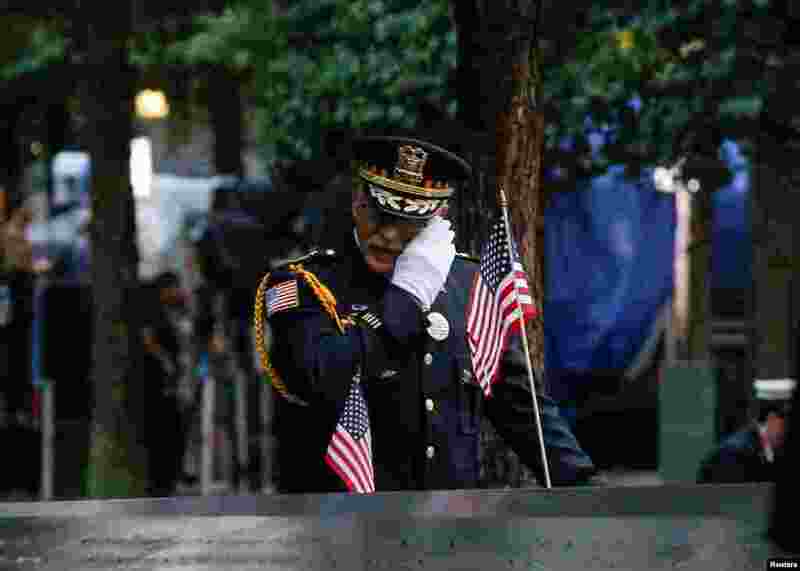 4 A guest wipes tears at the south reflecting pool of the National 9/11 Memorial and Museum during ceremonies marking the 17th anniversary of the September 11, 2001 attacks on the World Trade Center in New York, Sept. 11, 2018.